Adele Hadfield, shot dead by her feisty second husband William Knowles, was a headstrong independent woman. Of fine breeding, landed gentry of Nelson you might say, the story of her death (preceded by falling pregnant to her lover William whom she later married) has long been a skeleton in the closet of the Wilson family. 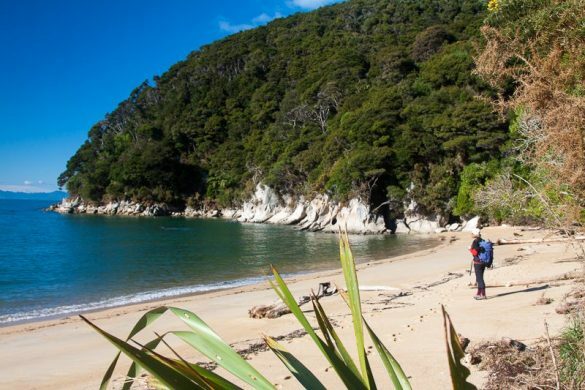 Raising nine children at Awaroa settlement with her first husband William Hadfield, Adele’s descendants operate guided walks on the land now known as Abel Tasman National Park in New Zealand’s South Island. After a morning’s hiking with Senior Guide Lucy Hodgson from Wilsons Abel Tasman, who also happens to be the partner of Adele’s great, great grandson Darryl Wilson, the story of Adele’s tragic death unfolds over lunch at Meadowbank Homestead. With her portrait hanging on the living room wall, it’s easy to appreciate her loneliness having arrived at this remote outpost as a newly-wed 18 year old in the 1870’s. Shaded by an ancient mammoth known as the Dog Tree, where she kept the farm dogs restrained atop a cliff overlooking Awaroa Inlet, equally evident is its beauty. Protected with national park status since 1942, Abel Tasman National Park is blessed with an abundance of magnificence. Golden beaches bookended by towering clusters of granite boulders intersect forest-clad hills tumbling into the Tasman Sea. Dolphins and penguins inhabit the calm sea, fur seals bask supine on rocks. 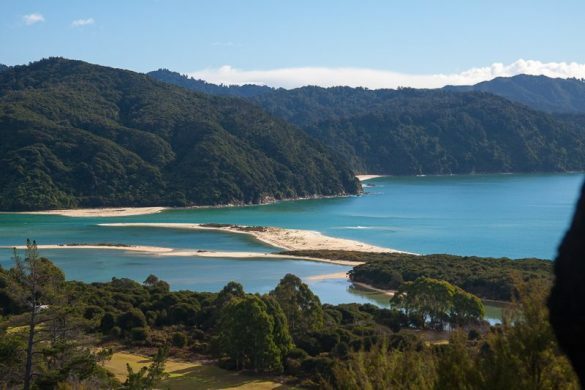 In a wind shadow and graced with a mild Mediterranean climate, the Nelson Tasman region claims the gong for the highest sunshine hours (subsequently with the fewest rainy days) in New Zealand. The park is crisscrossed with 54 km of walking trails. Day walks are available but by far the best option is to join a 3 or 5 day walk, overnighting at either of two beachside lodges. Fully guided and all inclusive, including luggage porterage, all double rooms come with ensuites. Walks are graded easy, covering between 7 and 17 km each day. The trails are spectacular. Tracks run alongside boulder-strewn streams, across the odd swing or fixed bridge, atop ridges affording expansive sea views or across golden beaches kissed by gin-clear sea. All the while walkers are accompanied by bell-birds or curious tail-wiggling fantails pouncing on insects disturbed by walkers. Dotted along the trails, the Dept of Conservation provide facilities such as overnight huts, flushing or compost toilets and filtered drinking water taps. 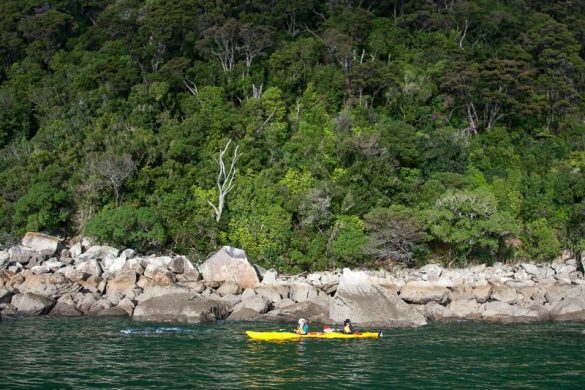 Guided sea-kayak paddles offer another perspective of the park for poking around reserves like Adele Island where the Abel Tasman Birdsong Trust work with DoCs to remove all predators. 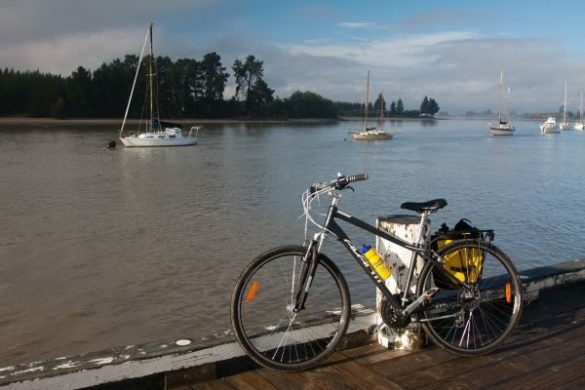 The pretty coastal village of Kaiteriteri is the natural starting point for walkers and the finishing point for cyclists on the Great Taste Trail. 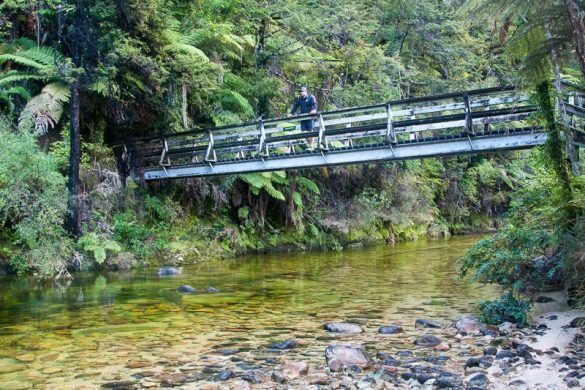 Formerly known as the Tasman Loop Trail, most of the work expanding this splendid new trail is now completed. Creating an easy sort of pleasure seekers triathlon combining cycling with hiking, leisure seekers could add kayaking or eating as the third activity. 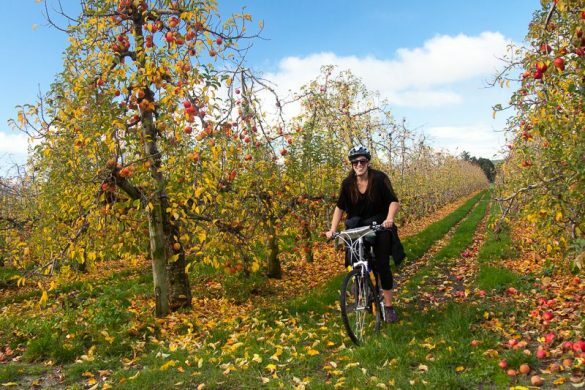 Covering approximately 66 km, the Great Taste Trail Coastal Route is a relaxed self-guided ride across mostly flat and rolling terrain between Nelson and Kaiteriteri. Cyclists bed down at gorgeous Pine Hill Lodge Mapua, with views across the vines, followed by Nautilus Lodge Motel Motueka the next night where rooms come with double spa baths. At Kaiteriteri check into Kimora Eco Retreat, taking full advantage of the sun’s energy capture with a vast bank of solar panels high on the hill overlooking the beach. With most of the route on designated cycle paths, the Gentle Cycling Company takes care of all pesky logistics like transporting luggage. The only decisions you’ll need to make are where to stop for lunch, beer or wine tastings, along with how to carry the artworks you’re likely to pick up along the way. Large waterproof panniers help. 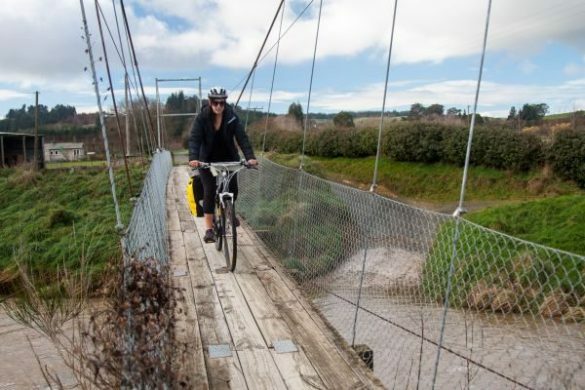 The Gentle Cycling Company has support vehicles on hand to address any maintenance issues, plus they’ll pick up you and your bikes and take you back to Nelson at the end of your ride. Adele Hadfield would likely be delighted had her own life been as easy. Tasman’s Great Taste Trail will eventually incorporate a 175 km loop from Nelson. The Gentle Cycling Company has been instrumental in developing an easy network of trails, some through private property, and is the only company offering fully supported cycling. All gear is provided. The Wilson family have been welcoming visitors to the area since 184, going back eight generations. Wilsons Abel Tasman guide multi or single day walks through Abel Tasman National Park utilising their own boats to transport guests. Their two lodges, Torrent Bay Lodge and Meadowbank Homestead are located within the park. For more information on what to see and do visit the Nelson Tasman website. 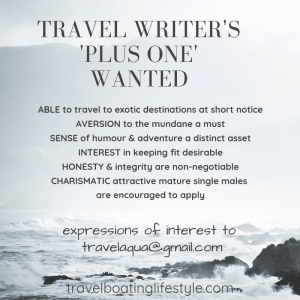 This article first appeared in Australian Senior Traveller. Fiona Harper was a guest of Nelson Tasman Tourism.